The Red Ant Vibrobug, one of the bugs that can be made at the workshop. 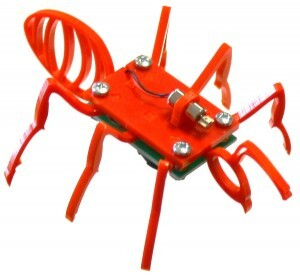 Once everyone has built and personalised their bugs, there’ll be the Great Robot Race, where the owner of the best robot will win a unique one-off kit from Kitronik. Run by Rob Haywood from Kitronik, the workshop will run from 10:00am to 12:00pm, and is for children aged 8 and over. Tickets cost £10. Adults must accompany all children, but if there just to supervise, adults are free.